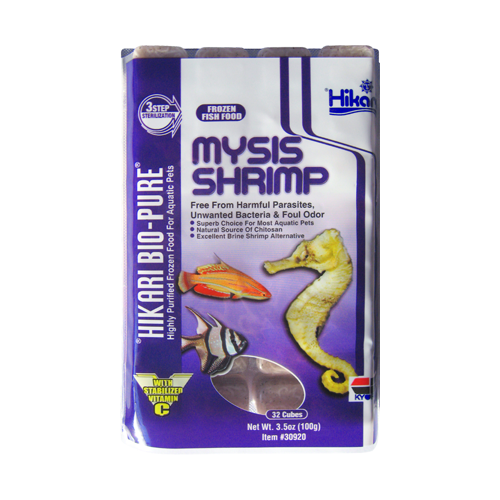 These Mysis relicta harvested from this glacier fed lake naturally offer an unusual amount of desirable linolenic acid, omega-3 fatty acid, omega-6 fatty acid, arachidonic acid, EPA and DHA too. 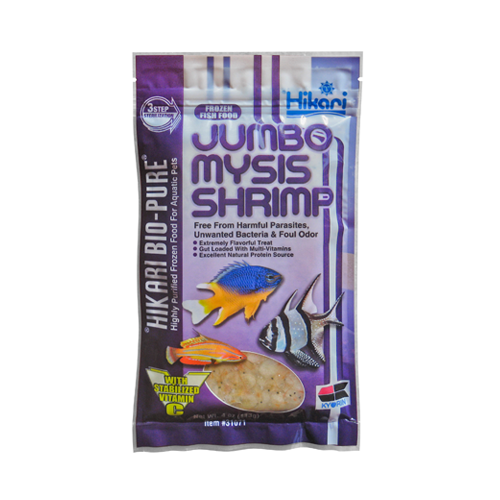 Additionally, they also contain a higher level of planktonic algae most fish love and offer a flavor that drives most fish wild. 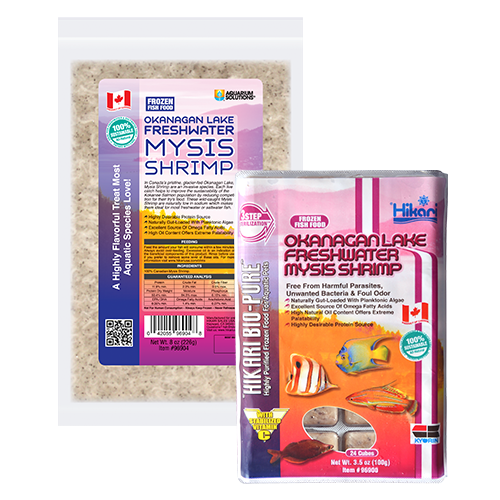 Best of all, the sustainable fishery we use for these mysis helps improve the salmon populations in Lake Okanagan. 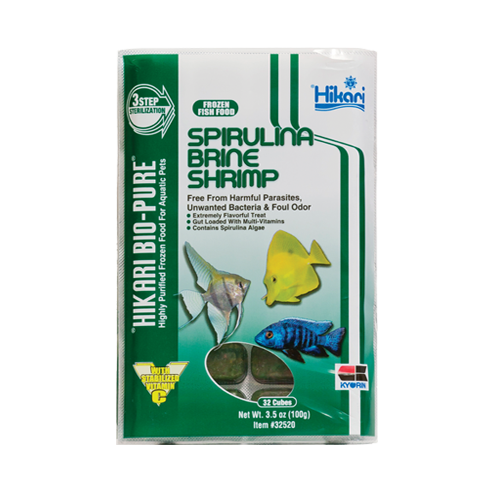 Now available in Bio-Pure® cube packs! Feed the amount your fish will consume within a few minutes. Always avoid over-feeding. 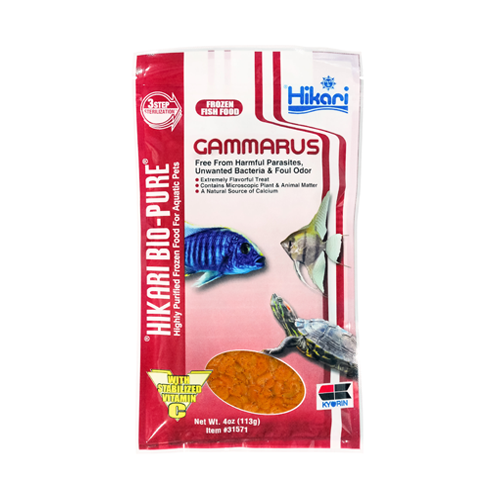 Excessive oil is an indication of the beneficial components of this product. Rinse before use if you prefer to remove some level of these oils but understand you are reducing the nutritional value your corals might thoroughly enjoy. 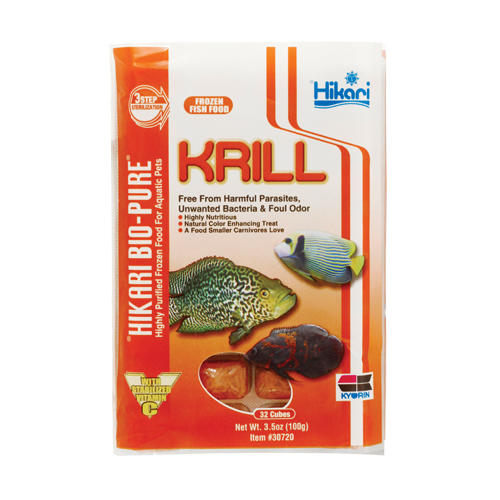 Ideal For: Freshwater and marine fish who prefer meaty and flavorful foods, like American cichlids, marine angels, grouper and stingray.